This Indenture made the tenth day in the twenty second year of the Reign of our Sovereign Lord George the Second by the Grace of God over Great Britain, France and Ireland King defender of the faith and so forth and in the year of oue Lord 1749 between Joseph Clarkson of Satronand Ann his wife and James Calrkson of Satron son heir of ann the wife of the sd Joseph Clarkson on the one part, and Robert Handley of Burton in the parish of Aysgarth of the other part, witnesseth that whereas John Sadler late of Burton deceased by his will & testament bearing date 13th Dec 1742 amongst other things did give and bequeath unto certain trustees the sum of £80, and also the yearly sum of £16 .. [to the use of the trust] being the owners and occupiers of the Messuages alnds & tenements then in the tenure & occupation of the sd Joseph Clarkson situate and being near the Bridge at the low end of the sd town of Burton, and being also the owner and occupiers of the messuages lands etc commonly called Howrain…….. the sum of £8 for building or purchasing a House for a school within the township of Burton and also the sd yearly sum of £16 for ever to be payable out of certain Ms & Lands etc situate within West Witton called Chantry to paid twice yearly (£8) for a master of the school. Jan 8. Ordinary progress made, attendance fair considering the storms then prevailing. 14. Had the school attendance officer, remarked on the numbers present considering the weather – took the names of several who were attending irregularly. 22. Attendance on the Monday so poor that they were not counted..
school room required the whole week for preparations for and Christmas party. 28. Only two in attendance. Better towards the end of week. This bad attendance is owning to the extremely bad weather. 29. No infants present at all. Feb 3. School visited by the Rev. & Mrs. Stow. Had a visit from the school attendance officer, took the names of Hannah & John Baynes who had not been at school for nearly three weeks. 24. Had the school attendance officer in school. Asked if John Naylor was attending to which I truthfully replied in the negative. 24. Reeived notice in the evening to have a good fire the following Monday Mar 1 at 6pm as a managers’ meeting was to be held & I was to be present. Mar1. This day I give in my three months resignation terminating May 31st 1886. 2&3. School closed these two days in consequence of the heavy fall of snow which made the roads impassable. Poor attendance the remainder of the week, several not paying their school fee though the school was open Thursday & Friday. 8. Meeting of Managers & myself & receiving unfair treatment, when I had orders, I left the room. Their business with me was to see the Day School Registers, but I got too much abuse from one of the members newly appointed whose wish is to replace me. Apr 2. Have immense difficulty in obtaining the school fees. Some parents intending to take their children away. Mr. Heseltine, with 4 children, one of them. 5. Only 7 children present, many kept at home on account of a sale in the village. Better in afternoon. School visited by the vicar & spoke with regard to the payment of some of the children’s pence. Amongst these was Alfred Swales & other difficiencies. The new rules are to be at the same rate for Standard 1 as the Infants viz 2/6 per quarter. 9. The Heseltines, a family of 4 children, in regular attendance, I find have left the school & are in attendance at Cross Lanes School, Thoralby. 12. Heseltines not returned, hence they miss examinations this year unless they return as early as possible. 14. Had the attendance officer in school this morning. Spoke with respect to the Heseltines & he said so long as they were in attendance at Cross Lanes School he could not do anything in the matter, but suggested the parents should be shown & convinced of their grave mistake they were labouring under & see to their coming back. 19. Admitted 2 children from Carperby School, one coming under examination at the school named to which I give him permission to attend. 30. End of School Year. May 3. Heseltines returned today. 6. Many absent owing to a fair at West Burton. 21. Children examined in morning, had half day holiday in afternoon. Jun 2. Began school this morning as master. I find the reading in infants & sts 1 & 11 very bad indeed & the Arith. In all classes very moderate, the order also is very indifferent. 14. Admitted Jno. W. Simpson & Eliz. Grace Heseltine to the inf class. 15. Mrs. Rand commenced the sewing class for girls. Practicced Jane Rand, Willie Rand, Eliz Heseltine & Eliz Holmes with the “Alto” to “Hush thee my baby”. St. 111 have firmly grasped Long Division with the exception of John Baynes & Jno Cockburn, 2 backward boys. 21. Admitted Maria Rand to Inft. Class. Jul 1. Taught St 111 Reduction of Avoir – ascending. During this lesson on the B.B. the master found out that one of the girls (Jane Cockburn age 11 yrs) could not actually work a simple division sum. Aug 9. As several of the elder scholars are still absent I resolved to send their parents a note earnestly requesting them to secure the regular & punctual attendance of their children. 10. The words sent to the parents yesterday seems to have had effect as the Thompson, Baynes, Lambert & Cockburns have returned to school Received a word that Eliz Holmes has gone from home & that the master need not expect her for some time. 23 Began school this am. No present 41 including seven new ones. Those admitted were Christ. Thompson St. 2, Geo Thompson & John Richardson St IV, Thos Smithson St. 111, Thos & John Thompson St. 11 also John Naylor to St. 11. 24 Admitted James Hllerby & Fred Hillerby the former to St VI the latter to ST II. 27. Average for week 44.3. J.W. Rand. Oct 18. Admitted Susan Hillerby from Palmer Flatt & Thompson Holmes from Carperby. Nov 1. The master left the school for 2m this morning to attend to the infs in the classroom on returning found two boys, Geo Thompson & Horner Lambert, the girls Phyllis Sarginson & Mgt Heseltine making unnecessary disturbance. The master found no other course than to enforce Corporal punishment. This is the 2nd offence for the boy Geo Thompson. 25. Mr. Dale – master of Cross Lanes School visited the school this morning & heard the children sing. He also heard the Reading of IV VI & expressed his pleasure in both the singing & ready explaining of the Reading. 26. Some of the scholars brought word this afternoon that Annie Brown, Aysgarth – had orders given her to attend school but instead she went… a ‘sticking’ contrary to the wishes of her mother. Resolved to visit the father about such irregularities. Dec 1. 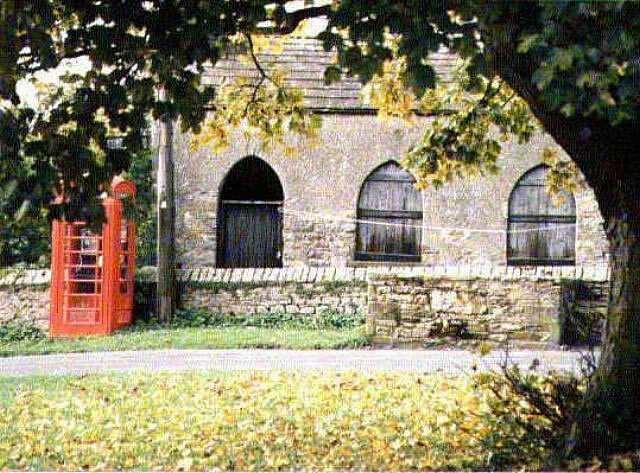 A mild case of measles having broken out in Yore Mills yard – Brown children from Aysgarth have been withdrawn in consequence. 7. Holiday, the master being poorly & confined to bed. 8. Still very cold. Scholars scarcely able to write or work. Feb 21. Annie Bell has returned to school after a long absence. Geo. Wm Thompson, a St. 111 boy broke a piece of glass with his ball during the morning recess. Ordered to pay. Mar. 7. Admitted Fredk. , Annie & Bessie Kilburn from Carperby, also Hannah Rachel Ewbank from the same place. 9. Admitted George Dougill to inft class. 29. Cicely Brown re-admitted to inft class after a long absence. Apr 26. Admitted Henry & Chas, Waite from Aysgarth. 13. Today being Leyburn May Fair several of the older scholars were absent. Jun 6. Admitted Emily Hammond & Robt Pickering, the former to St. IV the latter a big boy aged 16 yrs from Thornton who actually does not know his tables. 20. Admitted Mark Hammond to St. VII. He previousy having attended a school in Swaledale. 23. Received from Squire Tomlinson the Govt Report the foll being an exact copy. The Master has evidently worked hard. The spelling & written ARith are very good & the handwriting is satisfactory. The Reading however is poor, being inaccurate without sufficient attention to expression or even to the stops. Mental Arith also & Needlework require more attention. The Managers will do well to take a more active part in the government of this school. The Registers must be kept strictly in accordance with the official instructions. Sufficient Reading Books should be provided for each child. The school walls in many places are covered with damp & the floor needs repair, hats & bonnets are thrown on the porch floor for the want of a few more pegs. The Portfolio also does not conatin all the Official Correspondence. The offices must be kept in proper condition & a drain should be made for the urinal. They were in a deplorable state when seen my me at a visit in Jany last. The defects in the premises specified by H.M.I should be remedied. 30. Today I resign mastership of this School. John W. Rand 2nd Class. Aug 8. Began school this morning as Master. Rev. Stow visited this afternoon. 20. This morning I punished John H. Dougill for truancy yesterday afternoon. 24. This mrning I have sent – on receiving the permission of Mr. Stow – some boys to pull ‘ling’ on the moor to light the fires with in winter. Sep 10-14. On Monday afternoon I had occasion to punish John Richardson rather severely (six stripes) for slighting my command when I spoke to him. On the Tuesday morning following for talking, after warning, during the Reading lesson (I was engaged for the time being at the other end of the room) – I told him three times to go to my desk before he would go. For this refusal to obey so reasonable an order promptly I gave him four stripes. When going to his place I told him that he would be told to come out aain – to test his willingness to obey. After a while the order was repeated - & the boy again refused & muttered threats of what he would do. The master keenly felt the effect this might have on the discipline. I therefore took him by the jacket collar & forced him out – at this the lad seized my stick & broke it. I obtained a thicker one which I used as a pointer & forced him to submit to three more stripes on the hand. By this time he saw that he must give up all resistance, After a while I gave once only my original command – which was promptly obeyed. Jan 9. Re-opened today. Mrs Dale entered upon duties as Sewing Mistress. This afternoon I sent 7 first class boys to obtain material for fire lighting. 12 This afternoon Elizabeth A. Dinsdale brought me a message to the effect that she was leaving home for a month (or more) – I therefore withdrew her name from the Register. Mar. 26. Twenty seven children being absent from Mumps & some of …….. I thought it necessary that the school shall be closed for a week. The medical officer of Health certifying to that effect. 14-18 Some scholars away on Monday & Tuesday owing to West Burton Feast & Fair. Jun 25-29. Serious complaint is made respecting the attendance of Jane Cockburn who has been very irregular of late without good reason. Sep 18. This morning Jno Cockburn, Thos Thompson & Chas Brown were caned for smoking on the premises previous to the opening of school. 2224. This morning I noticed that Edward Bolland had symptoms of some disease upon his arm so that I sent both him & his sister home for a few days as I was afraid it was infectious. Jan 7. Re-opened this morning. During the holidays the school has been made more comfortable. The stove has been removed from the end of the room to the middle. The school has been well cleaned & several new appliance have been provided – tending towards the better warming of the school. Aug. 28. When Leonard Heseltine (a big boy in St. I) was going home at night he fell in front of the cart from the Mill. The wheel passed over him – he is now seriously ill. I have given special warning to the children against the common habit amongst them of running after or near vehicles as they pass. Sep 9-13. I hear with regret that the whooping cough is prevalent among some of the young children in the village. Dec 20. Closed for Christmas Hol. Today I resign Mastership of this school, Arthur George Dale. Jan 6. Entered on duties as master this morning. George Stephenson, Cert. Teacher (second class). I arrived at the school in good time & found the schoolroom unfit for commencing work in. With a little hurry managed to get it into a decent condition & started work at 9.15am. Feb 13. Have complaints from Mr. Tomlinson about boys going into his grounds for their ‘Hockey Ball’, from Bollands about the ill-treatment of their children on the way home from school. Gave general warning about the ill-treatment & limited space for playing hockey. Mar 22-28. Gave attendance officer names of Thomas Dougill, Thomas Smithson & Charles E. Waite who are ‘away’ for no good reason. May 25. I hear that Mr. Brown’s three children are going to leave the district. The removal of Mr. Hale’ School to Newton will also take away five boys & one girl – all very bright children. Apr. 17. Attendance is still bad & progress is not good. May childrenare off through colds. I have had to send Simon Dougill home until his ringworm is better. Aug 10. School re-opened today. Only 18 present. Hay harvest is not finished that accounting for many absentees. 31. The Managers have decided to accept the 10/- Fee Grant so we do not charge usual fee today. Sep 1. Admitted Edward Raw this morning. .Jan 13. Afternoon holiday for Sunday School Tea. Feb 11. Rev. D. Whincup visited & gave Lower Div Scripture lessons. Mar 18. There has been some unpleasantness with parents through the children being required to sweep school. A person has been appointed to do that work. Holiday this afternoon through a Confirmation held at Aysgarth. 25. Five children are about to leave the school. Four of the number are excellent in all their work. Apr 1. Three of the Bollands ch. Leave the district on Apr 6 so have left school today. 11. Received from Cross Lanes Sch. Today notice of the Drawing Exam which is to be held Apr 27. Aug 29. Only about half the chrn here this am. Wesleyans have their School trip to Redcar today. Hol. Pm. Nov 18. There is again a falling off in attendance. Ave 25.6. James & Margaret Sarginson are absent through Typhoid Fever. The order is good & decidedly good work has been done in the school during the past year. The Arithmetic especially deserves praise & singing by note was creditable. The building does not conform to modern standards. The west wall is damp. There is no cloakroom for the girls & there is no playground. Jul 6. Holiday today in honour of the Royal Wedding. Sep 15. The children of Thomas Cockburn do not attend as well as is desirable. Dec 20. Closed today for Xmas hols – 2 weeks. I resign the Mastership of this school today. Mar 12. Attendance officer visited & took the names of the following children who have been irregular & were absent; John Naylor, Eliz & Robert Wilson, Lily Wray, Cicely Brown & the children of Thomas Cockburn. 16. Jane Thompson very troublesome & talkative. She has been repeatedly warned & unless her conduct improves she will have to be severely punished. Apr 16. Admitted Alice Richardson from Thornton Rust. May 10. S. Thompson came to say that she was not coming to school again as her mother could not spare her owing to another sister leaving home. Jun 4. Admitted Henry Seborn age 3yrs & Francis Johnson age 5 yrs. Jly 16. John Mason & Wm Dougill were punished for thieving. On Friday during the dinner hour they opened the cupboard with a knife & took two compasses. 20. School closed today for summer holidays. Today I resign my mastership of the school. Henry S. Sebborn. Sep 11. 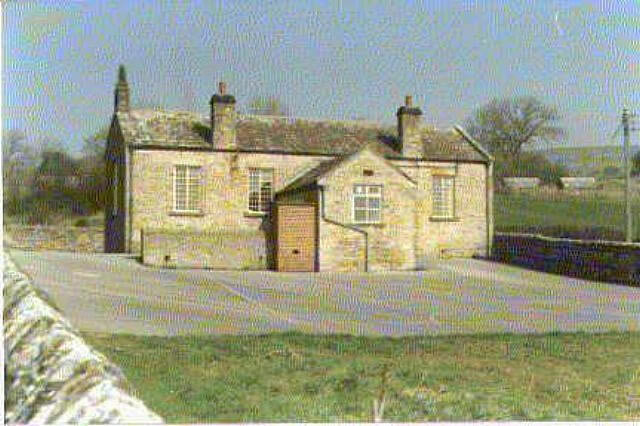 I Ebenezer Brown (2nd class) entered upon my duties as Master (temporary) of Aysgarth National School. 13. Received packet of dry ink powder from Mr. Sebborn. Shall now be able to have work on paper. 24. Admitted Phyllis Hugill aged 11 yrs. 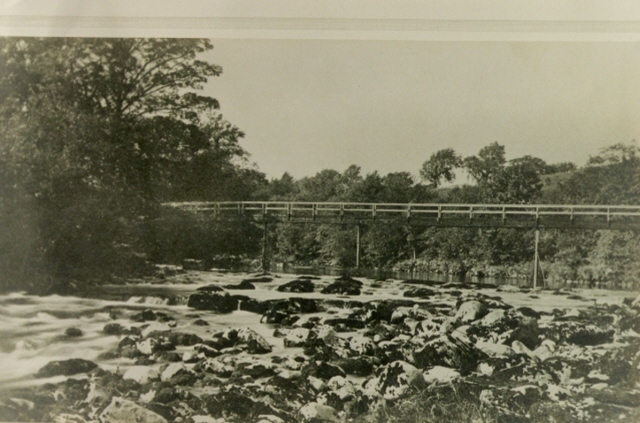 She came from Nelson, Lancs & is attending this school while on a month’s visit to Aysgarth. Oct 15. Commenced school this am in what was formerly a tailor’s shop in the village. Work will be carried on here until the alterations at the Nat. school are sufficiently advance to allow the work to be carried on there. The present building is not a very comfortable or suitable one but is the best that can be obtained here. Jan 8. Opened school at 9am this Tuesday morning in the proper school. Could not start yesterday as the desks etc had not been removed. Only 11 children put in an appearance this morning. 9. Bitterly cold this am. Instead of scripture took Military Drill & Physical Exercises until 9.50 as the children were almost frozen. Apr 24. This afternoon at playtime, Mr. Emsley of West Burton took the photographs of all the school children present. ‘The stove was taken away last March for an entertainment & has not since been replaced. The stove pipe serving at present as a conduit for rain & snow on to the school floor. The small fire at one end of the room gives very inadequate warmth. Three of the walls & the ceiling are in a very dirty condition & the ceiling is cracked with dampness. The floors, windows & window sills should also be more frequently washed & cleaned. Rain & snow come through openings in the walls devoid of window panes onto the seats in one of the desks. Aug 1 Emily Moore, certificated mistress of the First Class was appointed to the school. Dec 29. The boys have gone after the hounds to West Burton & did not get back in time for school. Jane 29. Children kept in half an hour for being noisy. May 7. Jane E Thompson was sent home today at 11.50am . Since her return to school she has been continuously disobedient taking no notice of the rules of the school & talking whenever she thought proper in spite of all the mistress could do or say. 24. Maggie Cockburn has returned to school. Aug 20. Leonard Heseltine & James Shannon have left the school. James has begun to work & Leonard is going to Mr. Baldersons at Askrigg to be schooled for a time. 27. Madge, Phyllis & Jessie Blades are kept away from school because they are suffering from whooping cough. Jan 10. Mary, Ethel & Francis Johnson have returned to this school after attending Carperby school for sixteen months. Dora Mason absent suffering from an attack of the mumps. Mar 17. Gave an object lesson to lower div on a potato. Apr 4. Phillis Blades laid up with a bad attack of Brain Fever. Jessie Blades suffering from cold on chest. 13. School re-opened this morning but closed in the afternoon as all the children attended the funeral of Phyllis Blades. Jun 28. Two children, Thomas & William Lambert have left the village. Lesson on an elephant. Nov 21. Five boys, William Dougill, Harry…. & William Cockburn have been away from school this afternoon to attend a fox hunt. Mr. Tomlinson, a manager of the school, actually encouraged them to do so, I heard. Mar. 10. Jessie Blades has been kept at home the last two weeks. Jane Wilson is most irregular in her attendance. 17. Simon Dougill has left school. Apr 28. E. Moore resigned her post as mistress today. Dec 21. The Rev. F.W.S showed the ch. Magic lantern views illustrating his holiday in Switzerland. Dec 4. Two or three afternoons this week the school has been closed a little earlier than usual for the children to go slide on the pond. The frost being very severe they have had fine sport. Jan 17. One boy Anthony Mawer has left the school and his little brother has been admitted instead of him. Sep 1. Miss Gays an Italian lady who has been staying in the village for the last few weeks visited the school again on Monday and brought the girls some knitting cards. Sep 12-19. On Monday the school was unavoidably closed. Some of the children have been absent of late on account of the typhoid fever being in the village. One little boy has been very ill for several weeks. Sep 29 Half holiday to attend the funeral of a late scholar. Jan 19. Another family of children are prevented attending school through the fever spreading in the village. Wednesday was the Wesleyan School tea party many of the children absented themselves in the afternoon to go there. Mar 1. One of the greatest annoyances to the school is parents sending for and [ ] their children to home at all times of day. June 28. William Chapman poor boy! died on Sat the 26th was interred on Tuesday. The whole school was dismissed a little earlier. Sep 13th. Tuesday in last week was the annual half holiday for "Nutting". Jan 14. The weather is so severe it has been impossible for the little ones to attend this week. Feb 14. The girls would be able to do more needlework and much neater if they have proper materials to work with, their parent can not or will not provide them with necessary requisites. May 16. Mr. Arey the Inspector unfortunately came to Carperby to visit the school the day it was closed last week. "The results of the examination in Stand _ and work are quite satisfactory and I am much pleased with the evident care which has been bestowed upon the infants. Jul 27. Mr. Thos Willis has kindly presented to the school a set of 'Gill's New Geographical Readers', No. I, II & IV. No. III, 'The British Empire,' was not received. Jan 9. School closed on Tuesday to attend the funeral of the Hon Lady Bolton. It is with deep regret that her death is recorded here for it was through her ladyship that the writer came to Carperby and first opened the school Jan 6th 1862 ever since then until a short time before her death she frequently visited the school both teachers and scholars have lost a kind friend. Apr 24. This week ends the school year. Annual average 34.1. Oct 30. This week the school was opened at 1pm and will continue to be so during the winter months. Sep 22. Mr. Bradley has given for the use of the school two dozen of the Royal School Series "Historical Reader". Nov 3. Two little girls from Wood Hall and one from Thoresby have left it is too far for them to come in winter. Sep 19. Mr John Iveson Certificated master with his niece Miss Margaret Iveson took charge of Carperby British School on the 15th September 1885. No. of children on Books 32. Order and discipline very fair. Repairs and New Books very much needed. Nov 27. A fair school progress. Good but conducting this small school is very difficult. The late mistress was perfectly useless as regards discipline. Mar 19. Snow too deep for children to get to school - the roads are 2 and 3 feet deep in some places. July 2. Attendance not so good this week, sheep clipping and Askrigg Hill Fair. Nov 12. Lying is very common amongst the children here. I am daily trying my utmost to convince them of the importance of always speaking the Truth. May 26. The Parents here neither value education nor the teachers nor a school. June 11. The Parents (some of them) are very awkward and keep them away, thinking it will lessen the school pence and so bring the Managers down on me. June 22. Being the Queen's Jubilee this wk, we have had Holiday at the command of the school managers for 4 days. June 30. Today my duties ceased as teacher. Aug 15. Commenced the duties of Mistress in this school. Sep 2. The usual routine. Admitted Elsie and Amy Price who have been taught by their father. I find them very backward indeed. June 7. Admitted Thomas Robson on Monday aged 8 years but who never got into Standard I because of delicate health. Oct 5. On Monday Mifs Budge visited the school and gave each of the children a book. The charge of 6d per head made to meet the cost of warming the school. Dec 20. Broke up for the Christmas holidays Resigned my duties as Mistress of this school. Aug 22. Half holiday on Wednesday & Thursday for the Church Gala on the latter day the scholars taken to Bear Park (where the Gala takes place) through the liberality of T. Bradley Esq. Jan 18. Miss Coulbeck has taken charge of the school for a fortnight. I commenced my duties this day as Mistress of the School. Sep 16. The attendance has been very poor this week owing to nearly all the children having whooping cough. Gave half holiday yesterday to attend the funeral of Thomas Willis Esq the corresponding Manager of this school. Jan 18. A thaw; most of the snow is gone though the hills are still streaked and the roads are very slippery. June 1. This afternoon I took the children to Bolton Castle. We left Carperby at 1.30 and got back about 5. Only two of the children had previously visited the castle. Oct 8 On Monday Oct 4th I commenced duties here as mistress. 19 Downholme Feast. Gave the customary 2 day holiday. 5 Weather very severe, only 8 children present, gave holiday for the day. 18 Very deep snow this morning causing the attendance to be very small. 22 The school had to be closed on account of a very severe snow storm. March 2-5 Very deep snow, roads impassable, the school closed on Tues, Wed & Thurs morning in consequence. Apr 16 4 children of the Cansfield family (Stainton) absent during the whole of the week, owing to sickness, the attendance considerably diminished thereby. May 1 Admitted 2 children from Ellerton aged 8 & 6 respectively, also 1 child from Stainton age 8 yrs, not one of the three knowing a single letter. Richard Cansfield left school to go to service being over 14 years of age. Dec 13 Admitted three children from Ellerton this morning who had previously attended the Fremington Endowed School. Foung them in a very backward conditon. Apr 1 Admitted another scholar from Ellerton Abbey. May 2 Joseph and Margaret Close left school, parents leaving Ellerton. 13 Gave holiday because of Leyburn May Fair. This pleasant little country school has again passed a very creditable examination. The Elementary subjects have been well taught, the only weak pint being the reading which is in some cased monstrous and unintelligent. English has been taken for the first time this year and the results are very encouraging. Needlework has improved, the order is good, and the singing and mental arithmetic are satisfactory. If a porch could be erected the schoolroom would be much more comfortable especially in the winter season. Mr Sedgwick will receive his certificate in due course. 27 Harriet Cansfield a child of 10 years of age and of delicate health, admitted here on the 15th Aug found to be in a very backward condition, she having been kept at home for 2 years by Doctors order. Oct 24 Admitted one child John Loftus Robinson from Stainton this morning. 21 Closed the school for Christmas Holidays, a fortnight given. 20 Emily L Croad of Ellerton left this school in order to attend a private school in Richmond she has passed Standard V and is 14 years of age. Margaret Metcalfe of Wathgill Farm away from school this week through sickness. Sep 7 Admitted three children named Harry, Thomas & Mary Harrod. They have been attending Marske E School, Thomas is a very dull boy especially in arithmetic he has also an impediment in his speech. Nov 30 Had to punish two boys, Henry Hall and William Park today for fighting during dinner hour. Apr 5 Gave hoiday today as nearly all the children were kept at home, it being the farmers steam threshing day. 13 Crossed off Wm Parke’s name as his father informed me that he intended to keep him at home He is over 14 years of age. 28 Commenced as master of Downholme School – Edwin Licloter? 27. Better attendance this morning. Mr Greathead Trustee and Treasurer of this school died last Tuesday. Feb 17 School closed for th week as only four turned up this morning, measles very bad in the parish. 27 Had a letter this morning from Mrs Robinson of Stainton asking that her son Frank should not be hard worked as he complained of pains in his head. The same letter went on to say that Agnes & Annie could not come as they were going to Bellerby Feast, Tuesday & Wednesday and to a picnic on Thursday. Aug 22 Admitted 2. Mr Struthers attendance officer called on Wednesday morning. 20 Impossible for Minnie Robinson to read in St I, very irregular owing to delicate health. 17 Minnie Robinson ill again. Dec 9 Stormy weather. Jane Russell & Mary H. Trott Standard 1 for arithmetic and writing. 16 Hannah and Fred Cansfield were examined in st IV but have not attended since the examination Hannah is away and Fred is assisting his father . Both intend coming again. 30 Closed school for Christmas Holidays a fortnight being given which brings Edwin Lidsters engagement as master to a close. Feb 16 Upon general examination of school after 3 weeks work find little improvement, the attendance is irregular, the children are listless, noisy and under no discipline. Mar 23 Attendance fair, weather lovely, progress most disheartening. The teacher has tried every possible means to improve the school but parents are indifferent, the children rude and careless. The teacher has been very forbearing and in one or two cases where a slight corporal punishment has been administered for rank disobedience complaints have been made of the teacher being too severe ! Little wonder at the disgraceful state of the school Jas Russel came today for the first time for three weeks, he behaved very badly so after repeated warnings gave him a stroke with the cane. No doubt he would go home and tell his father and this will be another case of undue severity on the part of the teacher. This is the kind of encouragement one gets for trying to improve a disgracefully neglected school. However the teacher’s temporary engagement is drawing to a close. Mar 28 Arthur Wood, John Robinson and Hannah Cansfield make no progress in arithmetic and Wood is equally bad in reading & spelling. Annie Hodgson away all the week, another bright specimen. No remedy, children do just what they please. Apr 18 Polly Trotts grandfather came to see teacher last night complaining about her lessons being too hard, that not a child in the school could do the work I had set her. She might to be in St II and the work I had set her consisted of 3 little Std 1 sums, plain, no problem. Apr 27 Arthur Wood, John Robinson and Hannah Cansfield get on very badly with their arithmetic. Dacre Wood still very poorly. Polly Trott kept dawdling about home. James Wilson away again. Nov 27-Dec 1 Stuck off Fanny Wilsons name from the register, she having gone to service. May 31 Lower attendance for the year partly arisen from the bad attendance during the months of Sep & October when chicken pox was very prevalent. Of the eighteen infants now on the books, the following thirteen have been admitted since last examination. Aug 27- Sep 1 Admited Emily Hall an infant. Seven children absent the whole of this week. Of them three were sick & three and were under five years of age. 1895 Jun 17-21 Bad attendance on Tuesday. On Friday morning the sad news was received of the death of Edward Dacre Wood, one of the finest boys in the school Deceased had been absent from school since the 18th of March. LR, Eva & Harbert Metcalfe have left Downholme & with their mother to live at Darlington. Miriam Robinson has with the consent of her parents, undertaken the fire lighting & cleaning of the schoolroom, in place of Leonard R Metcalfe. Jan 6-11 Many children have been suffering from jaundice & some are not quite better. Mch 23-27 Lost two scholars this week – Sidney & William Bainbridge – their parents having left Ellerton Lodge. Apr 13-17 Admitted Thomas & Alice Broadley (visitors). Oct 5-9 Philip Cansfield’s children left Stainton for a village near Colne, the parents intending if possible, to better their condition. 1898 Jan 24 Mrs Jas Russell called on Friday & asked that her son Henry who is nearly 11 yrs old should not be pressed with his work. The boy in question ahs been for some years subject to epileptic fits, He has had some recently but she is afraid of a recurrence. Feb 21 Annie Hodgson the oldest girl in school has been withdrawn. Apr 4 Readmitted Christr Fawcett & Admitted Elsie Margt Kitts both infants. Jun 6 Margt Cansfield absent from Wed to Fri with swollen face & neck. Jun 20 JWTrott fell off a gate on Friday evening & broke his arm. Aug 4 A reprt having been circulated that scarlet fever has broken out at Stainton I wrote at once to the attendance officer asking him to make enquiries of Dr West. Mar 6 Ellen & Geo W. Park returned to school, Leon Cansfield readmitted after an absence of about four months. May 22 J. W Robinson laid up with rehuematic fever. His two younger sisters also absent both suffering from bad colds. 1900 Mar 26 Readmitted JW Robinson & his two younger sisters the former after 11mths & the latter 10mths absence. They have been living since last June at an out house three miles from Kirkby Ravensworth & have not attended school The boy is nearly 10 years old & has only had about a years schooling. Though the children are anxous to get on they are at present a drawback to the school. May 21 Struck off Annie Robinsons name as her parents removed to Downholem Park & the walk is too long for here, being under four years of age. 1763 Nomination of Thomas Heslop as master at Redmire by Rector of Wensley. 1797 Nomination of Matthew Tunstall as master at Redmire. 1798 Letter from Matthew Tunstall to Bishop asking for licence to teach. 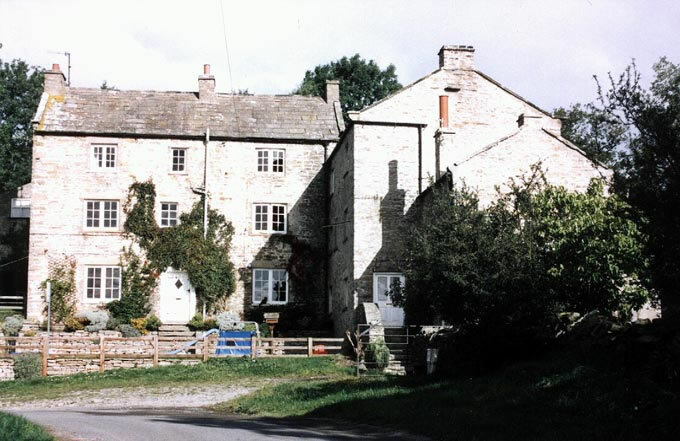 Reverend Thomas Baynes who died in 1725 left an estate at Low Bentham to pay for a school master at Redmire but this was exchanged (time unknown, no deeds) for a farm at Crackpot. The farm consisted of a farm house, 11 acres of land, an old inclosure, 30 acres of common pasture now (1803) inclosed, which were given on the inclosure thereof in lieu of 11 cattle gates let at a yearly rent of £19. The land is ill situated and very bad quality and being in a mining district is subject to a heavy poor rate. No house for a school master and school room belongs to Lord Bolton, being held under an acknowledgement of one shilling a year. It is repaired at the expense of the township but sometimes by the master himself. There used to be 11 boys educated free viz 5 from Bolton 6 from Redmire, but master states on average for last 10 year there have been 14 or 15 free scholars. 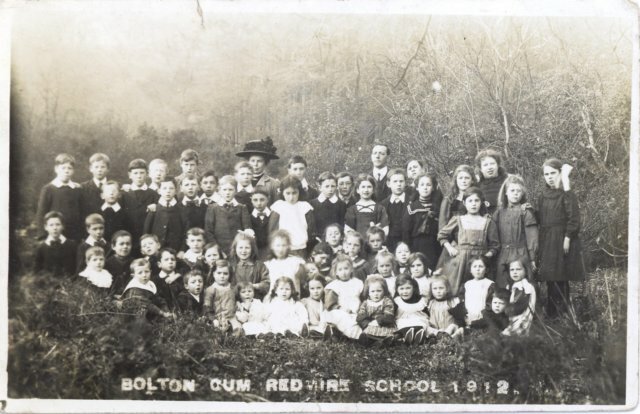 There are not many children of persons receiving Parish Relief, for whose admission into the school application is made, the poorer class being accustomed to send their children at an early age to work in or about the neighbouring mines. This little school is altogether of a humble kind, and is in no sense a grammar school. It is held in premises which are not the property of the trustees, but are lent to them by Lord Bolton, the owner of the village. The schoolroom is miserably inadequate; nearly 100 children are in attendance, yet there is not comfortable room for 30, and the desks and fittings are of the clumsiest and most inconvenient kind. There were 73 children on the day of my visit, 41 boys and 32 girls. The master (William Pratt) at my request dismissed the lowest class; and the remainder attempted, though with little success, to pass a humble examination in reading, writing and arithmetic, and in scriptural knowledge. There is no provision for teaching sewing to the girls. The master receives the little endowment, and the children's pence. He seems diligent and hopeful, and is doing his best under great disadvantages, and without assistance. He does not hold a certificate. The school possesses no suitable books for teaching, and is disgracefully destitute of the necessary outbuildings. In so far as the existence of this little endowment furnishes an excuse to the owners of property here for not supplying the village with a decent parochial school, it is a serious hindrance to the improvement of the people. Nothing is more likely to lower the tone of the entire village than the habits acquired by the children in the present crowded and unsuitable schoolroom. A few extracts from Redmire School Log Book. 7 Sept - James Moore is absent today being illegally employed by Sir Wm Chaytor. Roger Horner illegally employed some day by Sir Wm Chaytor. Holiday on Tuesday & Wednesday for the Queen's Diamond Jubilee. 16 Nov - John, James & Annie Dinsdale withdrawn - leaving the district. Thos Fawcett also left the district. 10 Jan - Edward Mattison (infant) died somewhat suddenly during the holidays. 29 Aug - JW Ruecroft, James Lambert & Thomas Pedrick have been absent during the greater part of the week grouse driving for Lord Bolton. 30 Aug - The children observed the eclipse of the sun & had a lesson on the same. 23 Apr - Admitted Daisy A Robinson (12) who has been attending the Council School, Bingley. 11 Oct - James & Alfred Miller withdrawn, their parents going to reside at Nelson in Lancashire. 12 Oct - Daisy Robinson an old scholar, began duties as Probationer. 9 Jan - reopened with 55 children present. 16 Feb - Edna, Edward Hunter, Castle Bolton have left the district. Parents have taken a farm at Keighley. Both scholars have been careful workers & are promising students. 6 Jun - Mr. J. Stringer-Calvert, one of the school managers, died yesterday afternoon. 6 Dec - Eleanor Hunter left district to live at Blackburn. Four families left during the year to obtain employment in towns, this drawing eleven children from the school. 25 Feb - It would be a great improvement if part of the playground could be asphalted or in some other way put into better condition for the children's physical exercises. 3 Mar - Very stormy morning. 14 children absent, all Castle Bolton children. 16 Apr - George Storey has won the 1st prize for solo singing in the Wensleydale Tournament of Song. 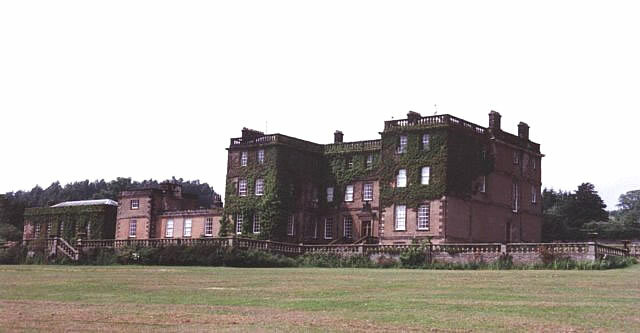 11 Aug - Lady Bolton has invited children & teachers to visit Bolton Hall on Sept 4th. 20 Oct - Took children to the head of Apedale, home by Gyyll Beck for geography & nature study. 17 Dec - Dr. Pickles called & advised that Albert & Christopher Spensley should be sent home as he had discovered measles in the house. 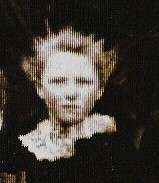 The first case Doris McGregor was brought from Middleham. 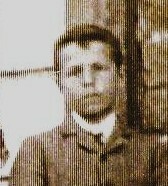 1 May - Frank Dinsdale aged 10 fell from a haystack Dec 21st & broke the right thigh bone. 28 Aug - Emily Robson's sight has been weakened by an attack of measles. 30 Oct - The children are bringing 1d per week for the Belgian relief fund. 11 Dec - School closed by Dr Cockcroft's order whooping cough is spreading. 18 Jan - Admitted Nellie Spensley & two Belgian children - Catherine & Edward Schaepherders who have come from Malines. 1 Mar - Thomas Hunter has been exempted for agricultural work. 6 May - John Earnshaw Rider an old scholar of this school has been killed in France. 16 Jun - Thomas Storey, an old scholar has been wounded in France & is now in a London hospital. 26 Sep - Robert Lambert an old scholar, has been wounded in France. 15 Jan - Heavy snowfall, only 10 children present. 2 Feb - Explained Germany's submarine policy & new blockade to senior scholars who recognized own need of maximum food production. 2 May - Received labour certificates for James Percival & Albert Spensley. 3 Oct - Senior children had a days outing to Semer Water. 12 Oct - Leyburn Fair - school closed. 17 Oct - Mr. J. Storey has been officially informed that his son Fred - one of our old scholars, has been killed in France. 1 Jun - I commenced duties here today as head teacher. D. Middleton. Only 27 children present. Several local farmers here have commenced hay. 2 Aug - Mr Foster who is employing Fred Peacock on his farm has applied for his exemption. 24 Dec - As the last train I can travel by today is 2pm, registers closed at 12 so that the school might be dismissed by Miss Robinson at 2pm. 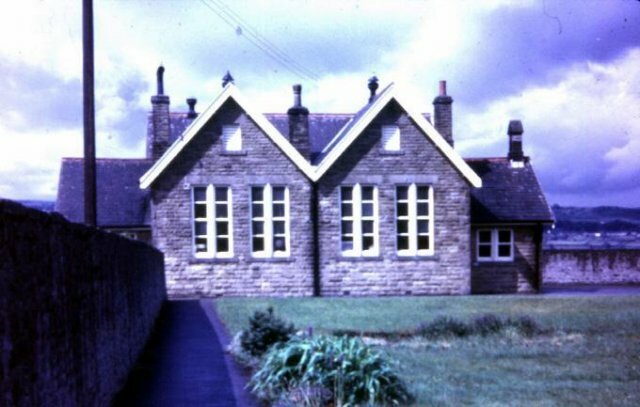 This is the original school (now converted into a house). The Scarlet Fever was proved to be in the Village, which caused the attendance to be thin. October 18. A Private adventure school having been opened at Preston a many of the younger children have left for the winter. March 5-9 . Wednesday being a very snowy morning No children from Preston were present. 12 -16 A case of scarletina having broken out in Wensley prevented some of the Wensley children from being present. April 12. The school closed by order of the managers & Dr. John Cockroft on account of scarlet fever being in our house. May 14. Commenced school again after being closed a month and two days. April 20. The measles being very bad there was a small attendance this week. The School in spite of difficulties has maintained a very satisfactory standard of efficiency in its general work. The children passed creditably in elementary subjects and in Grammar and the other standards and answered very well in History & Geography. The Discipline is very good. After being 20 years master of this school received notice to leave having been out of health for sometime but only had the school entirely closed for a few days during the time. The master's failing health explains & excuses the comlete breakdown in the work. But nothing can excuse the negligence which has allowed the Boys Offices and other parts to be covered with the most unseemly scribblings imaginable. May 3. Admitted William Stanger, Spence Horn & Sarah Elizabeth Cradock. September 27. Admitted John M. Spensley. Very wet day. Bad attendance. April 1. One of the windows broken during dinner hour by J.G. Pearson & Harry Gains. August 1. Admitted John, Jane Annie, Ruth Eleaner & Thomas Jones, George Cantril & John Humble. July 19. Next week being Preston village feast a week holiday has been given. January 22. Miss M. Scott commenced duties as assistant Mistress at a salary of £30 per year. October 28. Several of the Preston boys absent being on the moor at the sheep-shearing. September 7. Scarletina having broken out at Preston Mill, one family at home. July 6. Being the Royal Wedding a half day holiday was given. September 1. Had to punish 6 boys, (A. Bushby, A. Robinson, J. Cradock, H. Kilding, J. Walker & W. Willis) for stealing plums out of an orchard on their way home yesterday night. August 30. Enquired after the absence of Cecilia Lewis and Annie Spensley and find they have left the neighbourhood. I complained to my master Mr. Myse that on account of my daughter objecting to clean the school the master threatened to expose her behind to the boys and afterwards smach it also that on a former occasion after being chastised by the master she was much upset for the next three days and unable to sleep. Sep 11 Wensley boys 20 minutes late this morning had been gathering nuts. Gave them half an hours work at noon. Sep 13 Robert Mawer playing truant. Sent word to his mother. Sep 17 Robert Davy late this morning had been digging up potatoes for dinner. Sep 23 Henry Hind threw Anthony Clarksons cap into the ventilator during noon. Sent him for a ladder at 4 o'clock to get it down and also gave him 26 lines of potry to learn for being in school during prohibited hours. Sep 26 Heard report in the village that Elizabeth Clarkson was ill of fever. Sent Hannah and Winter Clarkson home immediately after opening school this afternoon. Oct 27 Joseph Sedgwick employed as paid monitor. Robert Spence left school at playtime without leave. Nov 5 Children obtained the school key and locked the master out this morning. This is an ancient custom which has prevailed in the village for a great number of years. Parents seem to enjoy it as much as the children. Could not win admittance until children had obtained promise of Holiday. Gave holiday as usual. Jan 19 Francis & Mary Canby very late this morning. Followed to school by their sister who informed me it was their neglect for being late so frequently. Jan 26 E.A. Smurthwaite punished for disobedience in sewing class. Mar 1 Pratts children left. Gone to live near Manchester. Mar 16 Robert Davy an hour late this morning. Sent a note home to his uncle. Apr 20 Punished Tom Brown for falsehood. Apr 22 Two boys late this morning. Had been hunting hare. May 31 Hammond Cradocks children ill 'Scarletina'. June 1 Sent Geo Clarke home as his sister has scarletina. Guys children too absent ill.
Jul 2 Broke up for midsummer holidays. Aug 10 Hammond Brown broke a pane in schoool window. Oct 26 Wesley Walton ill. Scarlet fever. Nov 8 Fever spreading. Used disinfecting lime freely on school premises. 44 present this morning. Nov 14 School closed for 3 wks. Jan 12 Punished Geo & Anthony Mawer for playing truant. 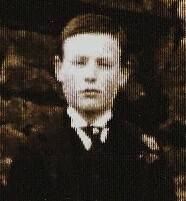 Feb 2 William Clarke left school to be employed in Lead Mines; being under 13 years of age sent word to his father that he would be required to attend school half time. Feb 18 Mr. Appleton engaged as schoolmaster. Apr 14. This morning had to reprimand Wm Horn in consequence of irregular conduct, he took himself home and as this is not the first time he has done so I sent word to his parents that I could not receive him again. May 9 E. A. Smurthwaite & Jane Metcalfe sent out of sewing class for misbehaviour. Feb 21 First class kept in after 4 o'clock for extra lessons in geography. Mar 2 Punished Duke Iveson severely for cutting one of the desks. May 7 Thomas Brown punished for throwing stones. May 14 Alfred Graham had a fit in school this morning. May 25 Alfred Graham had a fit in school this morning. Oct 15 82 in attendance this afternoon. Nov 20 Many children late this afternoon had been at Wensley. Miss Powlett's wedding. Feb 25 Only 81 children present. Many children ill whooping cough. Porters children sent home as they had measles. Robert Harker's children also sent home. Feb 28 Holiday this morning on the marriage of J.J.Espiner Esq. The school bell which had been obtained by John Rodwell from the Keld Heads Mining Company rung for the first time. Apr 29 Admitted William Binks - Coverdale. July 29 Wesley Walton had a fit in school. Dec 16 Told children to inform their parents that my daughter Euphemia was ill of scarlet fever. June 25. Alan Metcalfe punished for throwing stones. Aug 23 Gave holiday for the remainder of the week. Village Feast. Sep 9 William Ambler, J.R. Mattison, Margaret Alice Davy were required to attend school every day until Oct 1st. Dec 4 Bishop Ryan visited school this afternoon. Dec 16 Many children ill - mumps. Jan 29 Very large flood this morning only 18 children present at 9.30 dismissed school. Nov 27 Preston and Redmire children late this morning. During he dark mornings allowed the children coming a distance to keep their places in class if they are in school by 9.15. Sep 16 St. I require more spelling. Spelling to be taken frequently instead of other lessons. St. II require arithmetic. St. IV require grammar. Nov 2 Several children from a distance left school for winter months. Mar 4 Men employed to cut snow, now between 2 & 3 feet deep. Mar 9 'Pancake' Tuesday - Master 'barred out' - School door opened on condition of receiving half holiday. Nov 12 Mrs Harker wishes her daughter not to have such hard lessons as she is unwell through them, consequently she will be presented in the same standard. Aug 9 Cautioned the boys about climbing over wall between the two playgrounds. James Espiner returned after being absent for many months through sickness. Thomas Stubbs lad 3rd standard met with an accident during the holidays and broke his collar bone he is attending school but unable to use his right hand. This same lad broke his left arm last year on Apr 10th. John Croft returned to school after a long absence caused by the knock of a cow. May 31 James Harker & Annie Smithson absent through sickness. Certificate from doctor. The following children absent having ringworm; James, Christiana & Christopher Stockdall; Adam, Mary and Joseph Mattison. Mar 21 T.R. King Esq has kindly offered to pay the Fees of John Graham's children & also of Chris Stockdale's. June 13 Received 17/6 from Mr. King as fees f James, Christiana &Christopher Stockdale & of Annas, May & Peter Graham up to June 1st 1890. June 24 Dinah Scotts mother refuses to send her to school unless she is allowed to bring a child between 2 & 3 year old to school with her, which I cannot allow as she is so noisy. June 14 Wombwell's Menagerie visited Leyburn had to give holiday in the afternoon. Sep 1 Adopted the Free Education Scheme. The school to be free from payment of fees from this date.